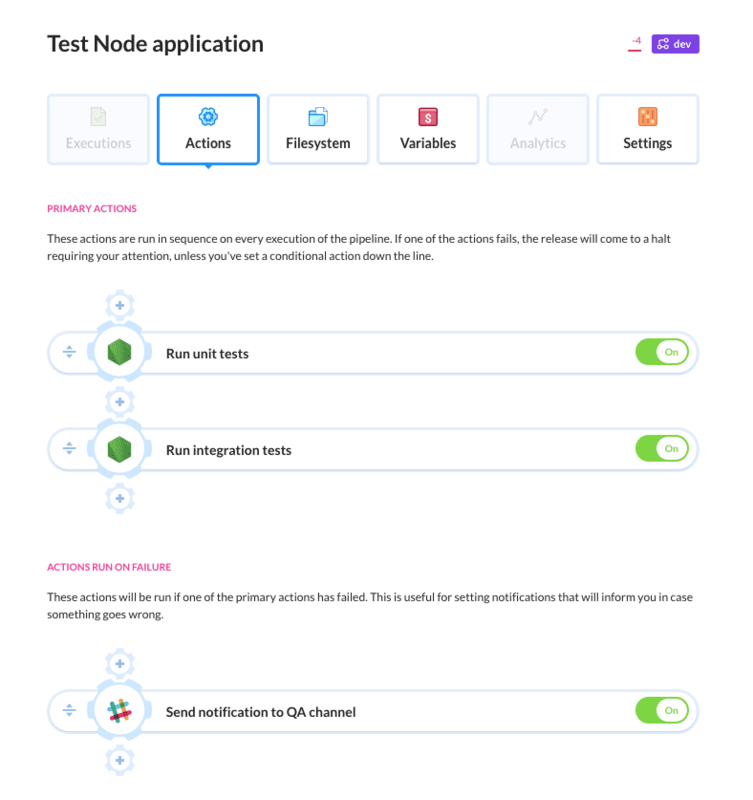 A while ago we introduced trigger conditions letting you run actions only if there were changes in the repository. 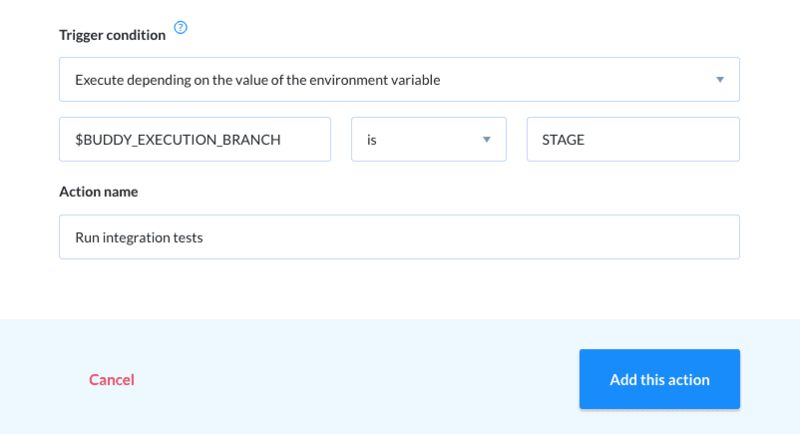 Now we’re adding another use case: running actions on certain values to environment variables. The feature is available in More options at the bottom of every action. This way you gain more control over your workflow allowing you to easily adapt it to current conditions.